I recently thought of the saying “_____, it’s my middle name.” You know the saying people say, “You’re dangerous!” And the reply, “Danger is my middle name.” You can put in whatever thing or name you want in there. The latter paragraph is me to a T…or whatever the saying is. Names means a lot. Some people are named by their parents while others are named by Facebook polls. Some ask God what to name their children. Then there are times where God changes the name given to them by their parents. But why would He change their name? Back then, names meant something. These days we name people for coolness factor, not that there is anything wrong with that, but I believe names carry something in the spirit. A name has authority. A name has power. God changes names because He wants them to carry something they didn’t know they could carry before. No one knew they would carry it so God had to change their name. They needed something to carry it. They needed a name that others could look at and realize God’s fingerprint. Look at Jabez. His name meant sorrow. But I believe God totally redeemed that name and that person. His prayer (see 1 Chron. 4:10) is one of the most popular prayer today. There are whole books on it. Sometimes a name carries a stereotype. “Oh look at Mr. Smith. I know another Smith in town who is related. Got to watch out for those Smiths.” Sometimes you are called to break the pattern of a name. You will leave your name for a curse to My chosen ones, And the Lord GOD will slay you. But My servants will be called by another name. For the sake of My name I delay My wrath, And for My praise I restrain it for you, In order not to cut you off. Name is Hebrew is shem which means name, reputation, fame, glory, memorial, and monument. Greek for name is onoma which means everything which the name covers, everything the thought or feeling of which is aroused in the mind by mentioning, hearing, remembering, the name, i.e. for one’s rank, authority, interests, pleasure, command, excellencies, deeds etc. We use our name to make covenants with people. We use our name to sign things and agree to terms. Our future is determined by the fact that our name is written in a book (see Luke 10:20). In our western thought, names are but something on a birth certificate. But in the Hebrew mindset names are everything. It denotes calling or past. It indicates situations or outcomes. What does your name mean? How have you used your name? How have others used it? What names have you been called? How has a name labeled you? How has a name defiled you? How has a name influenced you? How has a name confused you or others around you? When have you been called by the wrong name? When has your name been confused with another name? I reject all names I have been labeled with and called by. I do not receive them, nor the spirits attached. I call those name null and void and command all labels and names to fall to the ground and turn to dust. I pray for the anointing of the Holy Spirit to be smeared all over me and that all things spoken over me, not of God, would bead off and have no affect. I receive blessings and God’s labels and names over my life in Jesus’ name! I want a good name in my life. I want my name to be an inheritance, to leave an inheritance. I want God to guard my name. I want my name to point to His Name! I want my name influenced and possessed by His Name. I want my name cleansed of all defilement and ungodly labels. I want His Name to rule over my name. I desire a good name. I want a name better than the choicest of perfumes. I want a name that cherishes other names and calls those names into blessings. I want His name for me. And I can’t wait for that stone with my new name (see Rev. 2:17 , Isaiah 62:2). I embrace my name. Do you embrace His name over you? Do you know His name over you? Ask Him and He will give it in His timing. I waited and got it. He said my name means and is Possessor, and that is what I will do. I will possess all He has for me by saying “Yes!” to Him. He will work on me when I say “no” because He is faithful. I choose the good report and that the land is for the taking. As the river Jordan was held back to Adam (see Joshua 3:16) so I pray all things holding us back will be held back to Adam…the first Adam. In the Messiah, in Christ, God leads us from place to place in one perpetual victory parade. Through us, he brings knowledge of Christ. Everywhere we go, people breathe in the exquisite fragrance. Because of Christ, we give off a sweet scent rising to God, which is recognized by those on the way of salvation—an aroma redolent with life. But those on the way to destruction treat us more like the stench from a rotting corpse. This is a terrific responsibility. Is anyone competent to take it on? No—but at least we don’t take God’s Word, water it down, and then take it to the streets to sell it cheap. We stand in Christ’s presence when we speak; God looks us in the face. We get what we say straight from God and say it as honestly as we can. Greek for sweet scent or fragrance is osmē which means a smell or odor diffused and euōdia which means a sweet smell, fragrance. So we are a sweet-smelling fragrance God diffuses among this world and goes up to God and rising to His satisfaction. We, as believers, are a walking fragrance designed to diffuse His Presence to those around us. We are a sweet-smelling perfume, poured out, diffused to those around to awaken the spiritual senses of people. Spirit of _____ I call you to attention in the name of Jesus Christ. Rise up and take dominion over the soul and body. Receive what the Scripture has to say over you today, “Everywhere you go, people breath in the exquisite fragrance. Because of Christ, you give off a sweet scent rising to God.” I call forth that sweet-smelling perfume that you carry. Come forth and diffuse to those around to experience the Father in all that He is. Bring life to those things that need life and bring death to those things that need to die. Your worship, being poured out upon the feet of Jesus, is a vehicle in which the Holy Spirit travels to others. Know what is right in the soul and body and bring all into alignment. ______ you are blessed and highly favored of the Lord. Your life rising up to God and enters his nose and He loves it. He cherishes your particular fragrance. You offer a sweet odor that is particular to you and I bless that in you. I bless you with keeping that fragrance going. Like a lamp constantly being filled, I bless you as an alabaster box being filled and broken, filled and broken. Fragrance comes from oil in biblical times. I bless the anointing in your life that brings fragrance. I bless the anointing, the fragrance you have received from the Holy One. Spirit of _____ you are a sweet smelling fragrance and I bless you in that. You are life-giving. You are salt. You are light. I bless you in the name of Jesus the Christ, the Messiah. I am waiting tables at this restaurant I used to work at when I was ages 16-19. This time I was just starting and didn’t have a full section to wait on but was in training from what I could gather. I acted and felt like I was gone for some time from the restaurant but came back to work there. There were some of the same people working there especially in the kitchen. I had my first table and I was suppose to bring them to the particular table number but, being as I havn’t worked there for awhile I wasn’t sure where it was(this section wasn’t used much so I had to look at the seating plan but the rest of the place I knew the seating plan). By the time I found the table I knew the customers left the restaurant. Also in the dream that same room which wasn’t used much had a fair amount of people in there then it cut to a scene where all the people had to leave because there was a stack of 12 pack boxes of soda cans stacked and partially fallen over and leaking. 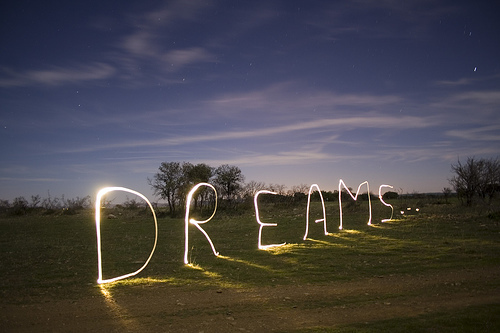 I know all the Scriptures about dreams and what they are and what they are not. I would prefer visions as they are more literal in nature. Come to think of it I remember a prophetic word I received that I have and will have a relationship with the Lord even in my sleep. I’ve been accused of holding my hands up in worship during sleeping and talking/mumbling often too. Couple nights ago I had a dream in between the time of 6:40ish am when i woke up and fell back asleep and awoke to my alarm 7:00am. I was in a meeting a couple weeks ago and the speaker was a Pastor’s son from India. As usual, he spoke on what the ministry in India is doing and wants to do etc. The usual missionary type sharing from a pulpit. But something really jumped out at me. His father, during a sermon, was speaking on dreaming. 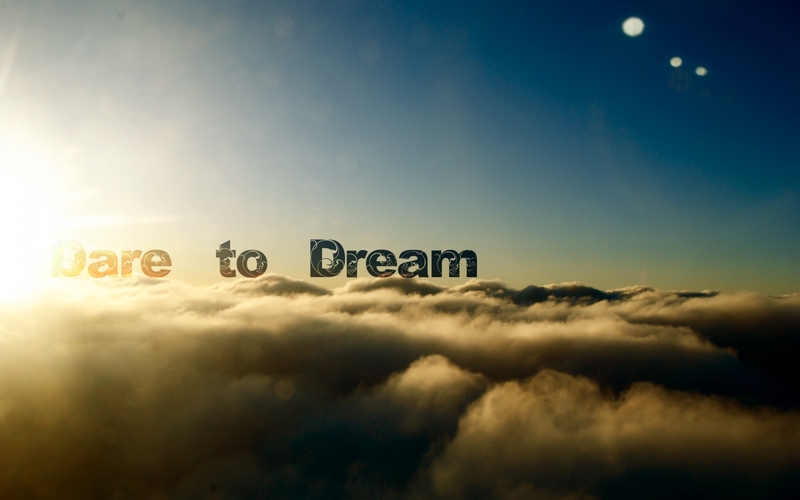 He said, “Many can dream big, but few dream long.” Few dream long. I need to dream long. Based on previous blogs I spoke on Presence and Promise and how Presence is key to open Promise. Dreaming long is the same thing. I know for me to dream big is emotional suicide but to dream long is sustained expectancy. I can dream the biggest dreams and despite my doubt or unbelief I continue to dream big…but now I know I need to dream long. Who knows when a big dream will manifest? Where it will? How it will? Living in the journey with God is so important. Dreaming big but dreaming long. I’m learning to trust Him for the outcome. I’m learning that living in expectancy is better then living with expectations. Expectancy is choosing to live in the moment with faith in a secure future. Expectancy is dreaming long while enjoying the journey. How many of us stop to smell the roses, if I may use that term we’ve all heard? Dreaming long and living in expectancy forces us to walk with God and not run ahead of Him. Great quote about dreaming from one of the Wright brothers. Dream big, saints and dream long! Live in the expectancy of today! Believe you will receive! May God grant to us the desires of our hearts!